This great experience starts right when guests step into the open coaches of the nostalgic cog railway. And the higher the train climbs, the more breathtaking becomes the mountain view that reveals itself. 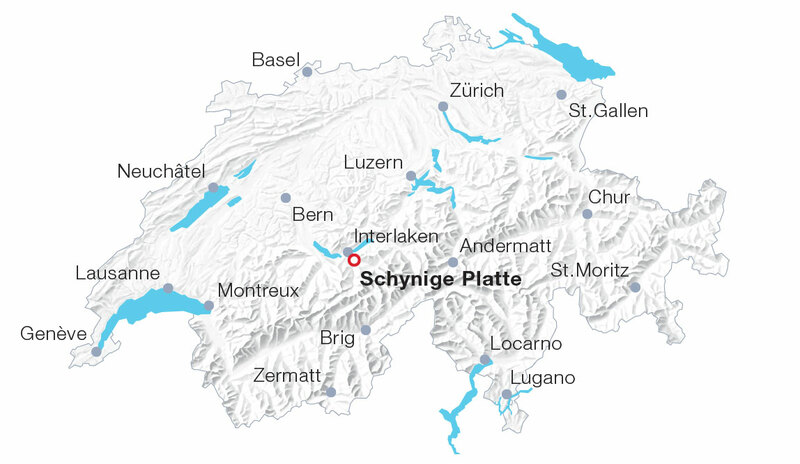 Guests visiting the Schynige Platte, located right at the heart of the Jungfrau region, on the historic cog railway instantly feel carried back to the Belle Époche. The wooden benches in the coaches of the nostalgic train as well as the vintage rolling stock dating from the nineteenth century exude the flair of times long past and revive the spirit of a bygone era. The mountain station at 1,967 metres a.s.l. is the starting point for various delightful circular hikes. It’s also home to the Alpine garden with some 650 plant species. The magnificent view can best be savoured from the panorama restaurant “Schynige Platte”, where guests are treated to delicious Swiss specialities as well as international dishes.